One tough cookie who can definitely hold her own next to the boys on film and TV, lovely, dark-haired Rachel Ticotin has stepped up to the plate many times in strong-armed femme roles, playing everything from cops and bodyguards to military corporals. Born and raised in the Bronx, she learned the fine art of discipline at a young age with ballet training at age 8. She made her first stage appearance at age 10 as a Siamese princess in a production of "The King and I" at NYC's City Center Theatre. At age twelve she joined the Ballet Hispanico of New York and went on to work with such famed choreographers as Alvin Ailey, Geoffrey Holder and Anna Sokolow. She made her film debut at age 20 in a bit role as a gypsy dancer in the King of the Gypsies (1978) starring Eric Roberts. She gained valuable experience in off-Broadway shows and on the other side of the camera as a production assistant for such films as The Wanderers (1979), Dressed to Kill (1980) and Raging Bull (1980). Rachel earned her big break after being handed the top female role opposite Paul Newman and Edward Asner in the brutal police film Fort Apache the Bronx (1981). Television became a viable forum with the TV pilot For Love and Honor (1983) (TV) as Corporal Grace Pavlik. The pilot introduced her to up-and-coming actor David Caruso. They married later that year. Rachel went on to appear in the short-lived series version of "For Love and Honor" (1983) without Caruso. 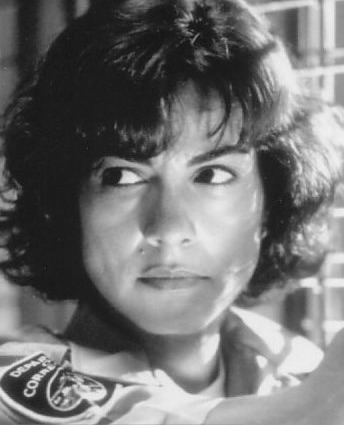 Other television projects included assertive roles in Prison Stories: Women on the Inside (1991) (TV), Aftershock: Earthquake in New York (1999) (TV) and Warden of Red Rock (2001) (TV). On the big screen she played tough in Critical Condition (1987), Where the Day Takes You (1992), and Falling Down (1993). Her best known role is probably the Arnold Schwarzenegger sci-fi blockbuster Total Recall (1990) in which the athletic Rachel has a memorable fisticuffs scene with Sharon Stone. In 1997, Rachel earned an ALMA award for her role as a prison guard in Con Air (1997). Divorced from Caruso after six years in 1989, she later met actor Peter Strauss on the set of the TV movie Thicker Than Blood: The Larry McLinden Story (1994) (TV). They married in 1998. In series drama she joined the cast of "Ohara" (1987) as a U.S. attorney and played detective in the police drama "Crime & Punishment" (1993). Although she has yet to hit the very top rungs of stardom, Rachel is a proven talent. Alluring as well as enduring, her latest work in the popular films Something's Gotta Give (2003) starring Jack Nicholson and Oscar-nominated Diane Keaton, Man on Fire (2004) with Denzel Washington and the recent The Sisterhood of the Traveling Pants (2005), not to mention the critically acclaimed bi-cultural series "American Family" (2002), is proof of the pudding.